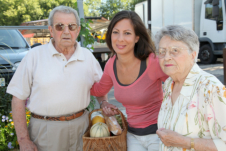 Running errands could be difficult and taxing for our senior, ailing, or disabled loved ones. The time and effort bushed on doing the task could have been spent on more productive personal duties and responsibilities. Good to know Care Plus Provider offers errand services by senior service caregivers. Errand services could take in the form of, but not limited to the following. Note that errand service request could be different for every client. Contact us today to get assistance with your errand needs. You can reach us at 1-800-571-1618 or 408-348-2265 / 925-999-9728.